Labour have said a Budget drive to close VAT loopholes could force up the price of goods and services such as bacon and sausage rolls and haircuts. Chancellor George Osborne pledged to end anomalies in the tax system which meant VAT was payable on certain items but not on other similar products. Among items which could be liable for VAT include chairs in hair salons and hot food sold by supermarkets. Bakers Greggs said it opposed the plan and would lobby against it "strongly". Mr Osborne said he wanted to address "some of the loopholes and anomalies" in the tax system while continuing to ensure key items - such as children's clothes, books and newspapers - were exempt from VAT. This followed a report from the Office of Tax Simplification last year which called for an end to some existing tax breaks. Mr Osborne told MPs that "for example, at present, soft drinks and sports drinks are charged VAT but sports nutrition drinks are not. "Hot takeaway food on high streets has been charged VAT for more than 20 years but some new hot takeaway products in supermarkets are not." The Budget red book - which sets out the detail of Mr Osborne's tax and spending package - states that "similar products are being taxed very differently" as a result of historic anomalies. From October, it said VAT would be "extended" to hairdressers' chairs, static holiday caravans and certain hot food. Labour said the price of hot food from supermarkets, such as pasties and rotisserie chicken, could go up as a result. "The decision to slap VAT on more regular purchases is another stealth tax on middle and lower income families," said the party's Treasury spokesman Owen Smith. "It will increase the price of a haircut, a bacon sandwich, a sausage roll or a caravan holiday. These are the kind of changes which will hit families in the middle." 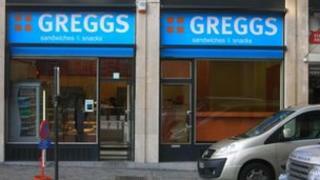 Greggs, which has 1,400 stores across the UK, said it was concerned about the announcement. "We do not believe that our freshly baked savoury products should be subject to VAT and we will be making strong representations to the government regarding the proposed changes," a spokesman said. The Treasury forecast removing anomalies and closing loopholes will generate £125m in 2012, rising to £350m in 2016.